What Berry Is Best for Your Liver? This summer, learn which iced coffee beverages from two popular national chains actually aid liver health – and which ones could possibly do harm. 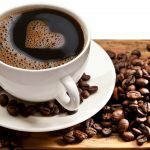 Over the past few years, several media outlets have announced that coffee is good for liver health – a seemingly major victory for people with a daily coffee habit. 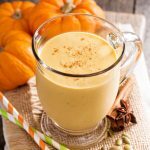 Especially when fostering concerns about the liver’s well-being as we cruise into warmer weather, it is a relief knowing that delicious, cold coffee drinks could be exactly what the doctor ordered. If your thoughts fall anywhere along these lines, be aware of the dramatic inequality among cold coffee beverages; some are liver-friendly while others can be the complete opposite. In its pure form, coffee can benefit the liver. Over the past decade, various observational studies and clinical research projects have concluded similarly, that coffee consumption is associated with reduced hepatic fibrosis in those with chronic liver disease. A marker of advancing liver disease, hepatic fibrosis is the process by which a liver becomes increasingly damaged. As such, protecting against hepatic fibrosis is one of the key elements in preventing chronic liver disease from progressing to a severe (or even fatal) condition. From the perspective of Ayurvedic and Traditional Chinese Medicine (TCM), coffee also holds a definite place in the realm of supporting the liver. Both of these ancient disciplines acknowledge different tastes as beneficial to different organ systems. Both Ayurveda and TCM recognize the bitter taste as one of the most influential on our health and the most deficient taste in modern diets. 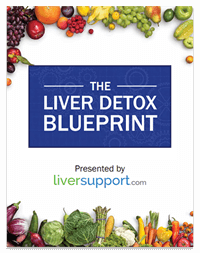 More specifically, bitter foods and beverages naturally stimulate the liver and gallbladder. The bitter flavor stimulates secretions, notably bile, and increases the breakdown and absorption of fats. As such, bitters improve hepatic circulation, aid in detoxification and protect against fat accumulation. Whole Milk or Cream – These common coffee additives contain significant amounts of fat that can accumulate in the liver. Sugar or Sweet Syrups – Sugars are well known to incite inflammation in the liver. Artificial Sweeteners – While these might have fewer calories, artificial sweeteners increase the toxic load on the liver which contributes to local inflammation. Dunkin’ Donuts Small Iced Coffee – With skim milk and no sugar, this is a great choice for a cold coffee drink that has just 2 grams of sugar and 0 grams of fat. Adding sugar and cream to a small iced coffee makes this beverage less liver-friendly by adding 17 grams of sugar and 6 grams of total fat. By bringing the sugar amount to 24 grams for a small cup, substituting caramel swirl flavoring for the sugar is even worse. Dunkin’ Donuts Small Coffee Coolata® – While it seems to just be a blended version of an iced coffee, this popular drink contains a lot more sugar. Made with skim milk, a small coolata® contains 49 grams of sugar and 0 grams of fat. Starbucks Grande Iced Coffee – Without milk, cream or sweeteners, a plain iced coffee is ideal for the liver on a hot day with 0 grams of sugar and 0 grams of fat. Adding 2 percent milk will bring those totals up to a respectable 3 grams of sugar and 1.5 grams total fat. Starbucks Blended Coffee Frappuccino® – This classic summer blended coffee drink contains more sugar than most people realize. A tall size (Starbuck’s smallest Frappuccino®) made with whole milk contains 36 grams of sugar and 2.5 grams of total fat. However, seriously thirsty folk may spring for a Venti size (Starbuck’s largest Frappuccino®) which contains a whopping 69 grams of sugar. For comparison sake, a king-sized Snickers bar contains 54 grams of sugar. Upon investigation, the pattern reveals itself; steer clear of sweet, blended coffee drinks to support your liver’s health. You can still capitalize on coffee’s liver health benefits this summer, albeit not with a Coolata® or Frappuccino®. 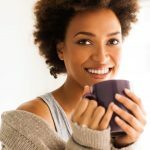 Enjoying coffee without being sweetened may take some getting used to, but the taste buds will acclimate – especially if done progressively. 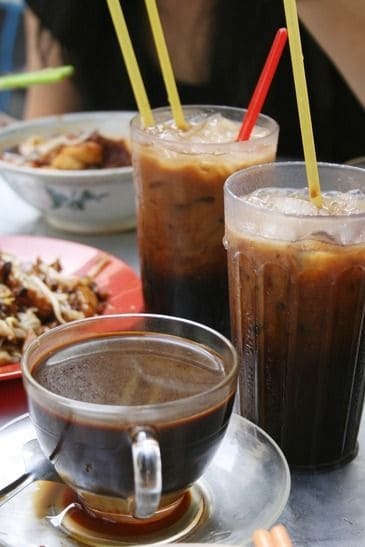 After just a short time of weaning yourself off sweeteners, adding sugar to your iced coffee will taste sickeningly sweet and have you and your liver yearning for an ice cold cup of bitter joe. http://shine.yahoo.com/shine-food/best-worst-summer-coffee-chain-drinks-040900453.html, Best and Worst Summer Coffee Chain Drinks, Skyler Okey, Retrieved May 26, 2013, Yahoo! Inc., 2013.
http://www.dunkindonuts.com, Iced Beverages, Retrieved May 26, 2013, DD IP Holder LLC, 2013.
http://www.eatingwell.com/nutrition_health/nutrition_news_information/the_best_and_worst_iced_coffee_drinks_frozen_coffee_drinks, The Best and Worst Iced Coffee Drinks and Frozen Coffee Drinks, Brierley Wright, MS, RD, Retrieved May 26, 2013, Meredith Corporation, 2013.
http://www.liversupport.com/wordpress/2006/06/coffees-liver-benefits/, Coffee’s Liver Benefits, Nicole Cutler, LAc, Retrieved May 26, 2013, Natural Wellness, 2013.
http://www.ncbi.nlm.nih.gov/pubmed/21987293, Association of coffee and caffeine consumption with fatty liver disease, nonalcoholic steatohepatitis, and degree of hepatic fibrosis, Molloy JW, et al, Retrieved May 26, 2013, Hepatology, February 2012.
http://www.ncbi.nlm.nih.gov/pubmed/22899499, Coffee attenuates fibrosis by decreasing the expression of TGF-Î² and CTGF in a murine model of liver damage, Arauz J, et al, Retrieved May 26, 2013, Journal of Applied Toxicology, August 2012.
http://www.ncbi.nlm.nih.gov/pubmed/23660416, Coffee Reduces Risk for Hepatocellular Carcinoma: An Updated Meta-Analysis, Bravi F, et al, Retrieved May 26, 2013, Clinical Gastroenterology and Hepatology, May 2013.
http://www.satyananda.net/articles/ayurvedic-tip---keep-your-liver-in-good-shape-with-the-bitter-taste, Ayuverdic Tip – Keep your liver in good shape with the bitter taste, Dr. Shaun Matthews, Retrieved May 26, 2013, Satyananda Yoga, 2013.
http://www.starbucks.com, Menu, Retrieved May 26, 2013, Starbucks Corporation, 2013.
http://www.sugarstacks.com/candy.htm, Candy, Retrieved May 26, 2013, SugarStacks.com, 2013.
http://7song.com/wp-content/uploads/2017/03/Herbalists-View-Liver.pdf, An Herbalist’s View of the Liver, 7song, Retrieved May 26, 2013, Northeast School of Botanical Medicine, 2013.